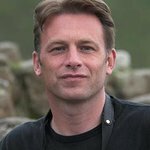 The National Anti-Vivisection Society (NAVS) has welcomed the support of nature TV presenter Chris Packham, as the UK Government today launches a public consultation on the repeal of the animal experiment ‘secrecy clause’, Section 24. Scientists, politicians, celebrities and the public are increasingly questioning the relevance of animal experiments. Section 24 prevents regulators from releasing details of what happens to animals during experiments under the Freedom of Information Act. The ‘secrecy clause’ has handicapped open public debate and scientific and ethical scrutiny of the use of animals in research, contributing to significant and increasing public mistrust of the Government’s regulation of animal experiments. According to a recent poll, 51% of respondents thought that “unnecessary duplication of experiments may go on” and only 47% “trust scientists not to cause unnecessary suffering”. 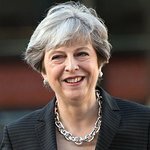 There is broad support for the removal of the ‘secrecy clause’ from Home Office Ministers, the Animal Procedures Committee (now known as the Animals in Science Committee), a House of Lords Select Committee, 20 organizations, 15 celebrities and 43 MPs who have signed an Early Day Motion calling for repeal. In February, the Government published a strategy document to fulfil its commitment to reduce the number of animals in research that was heavily criticised by the NAVS for failing to set a target whilst latest statistics show the number of animals has risen to over 4 million – the highest number on modern record. The review the Section 24 ‘secrecy clause’ was prompted by an EU Directive promoting ‘openness and transparency’ in animal research. The main aim of which is to replace animal experiments with modern technology.